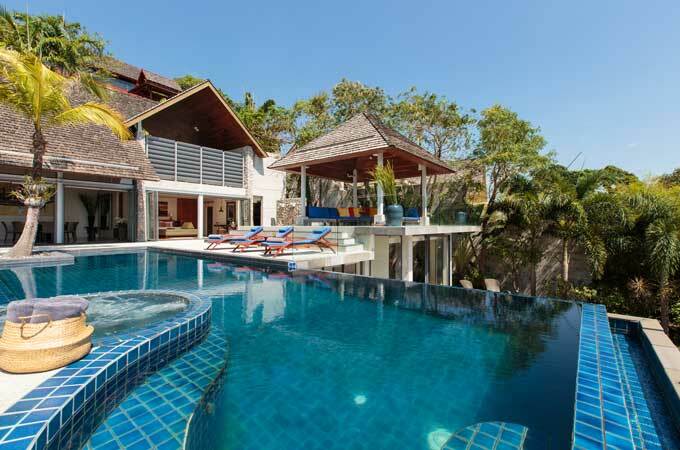 Welcome to Villa Viman, a stunning oceanfront holiday home featuring six bedrooms, ideal for larger groups and extended families. 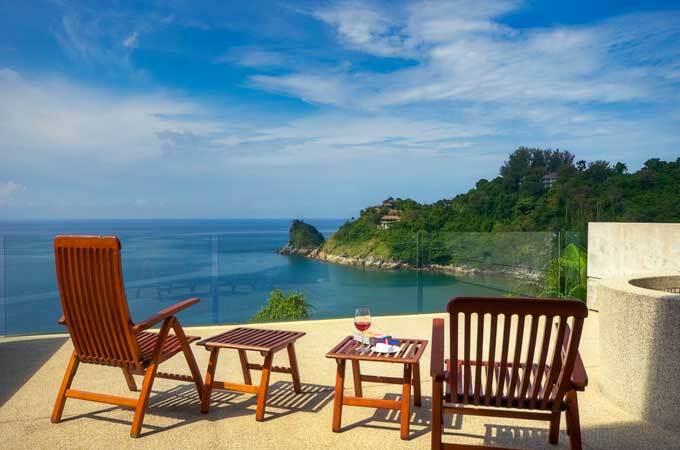 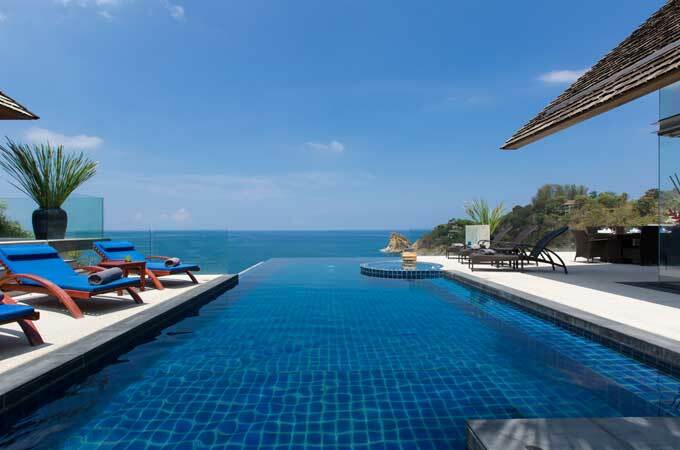 The luxury villa, part of a prestigeous Estate in Kamala, is built over three levels on a dramatic hillside facing the ocean on the west coast of Phuket island. 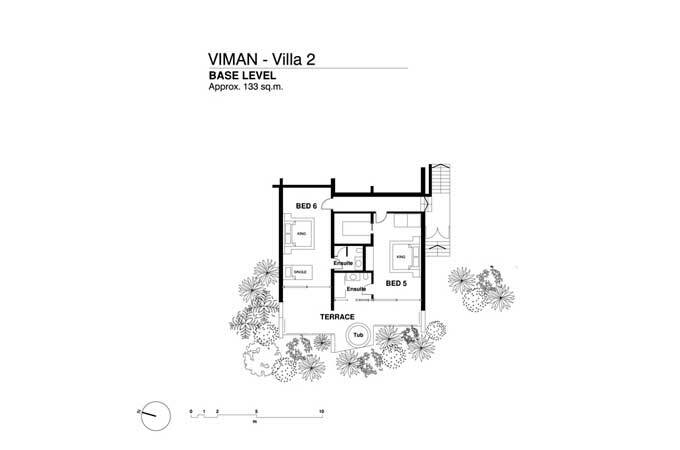 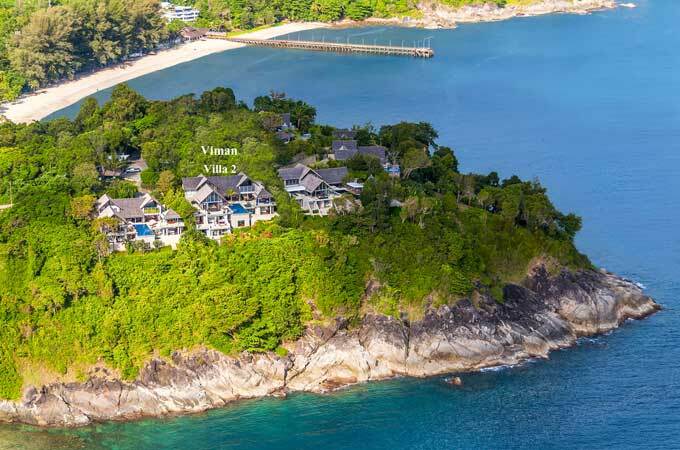 Villa Viman aims to be part of this prestigious Estate niched in a secluded peninsula and recognized as home of the finest villas in Asia. 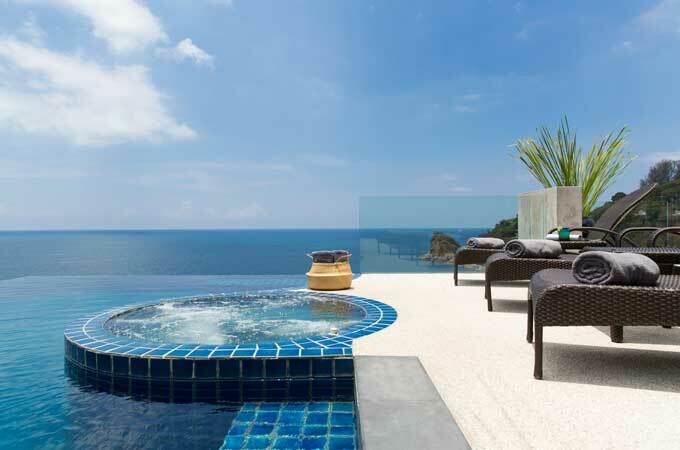 The contemporary villa offers indeed high end amenities to guests like an infinity edge private pool, tropical gardens, incredible island views and perfect sunsets. 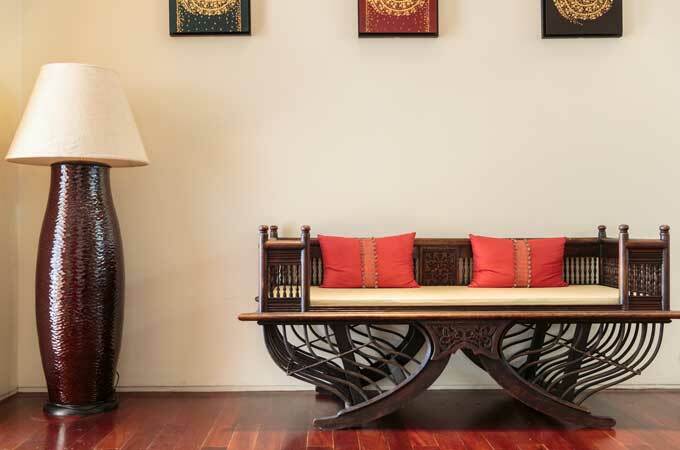 The property is decorated with taste to create a tropical harmony in all rooms, with a mix of Asian furnishings with modern facilities. 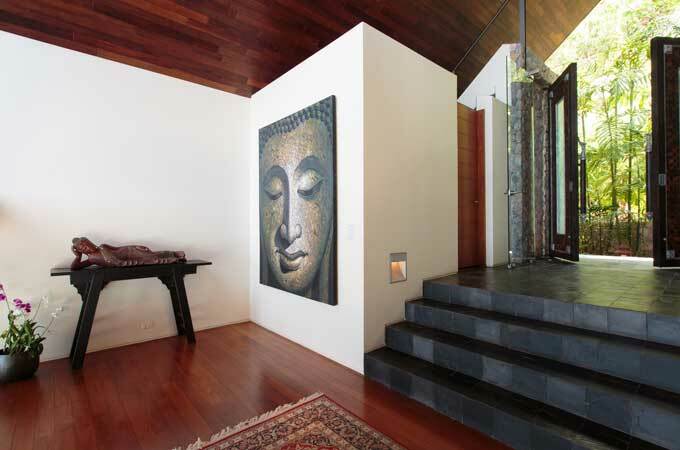 Wooden floors, doors and ceilings match the rich surroundings with blend of bold colors giving an ambience of peace and serenity to guests. 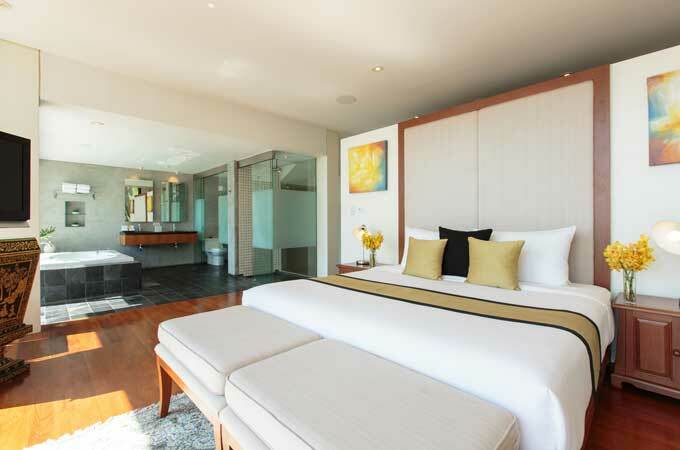 The six bedrooms feature en-suite bathrooms and individual terraces to breathe the coastal breeze in the ocean panorama. 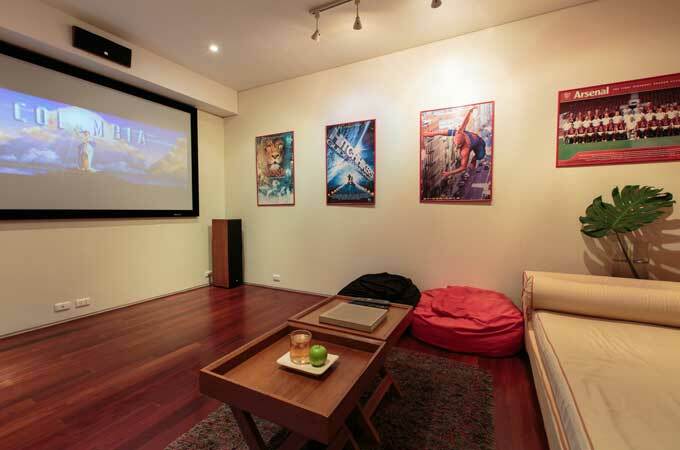 Kids are also pampered with a playroom attached to the twin bedroom including a football table and bean bags for entertainment. 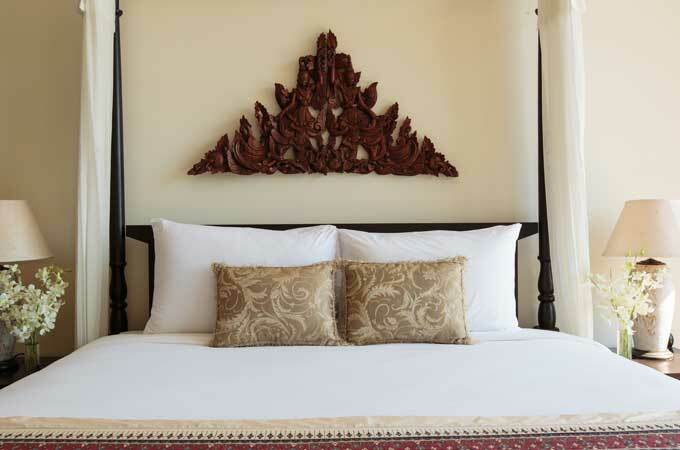 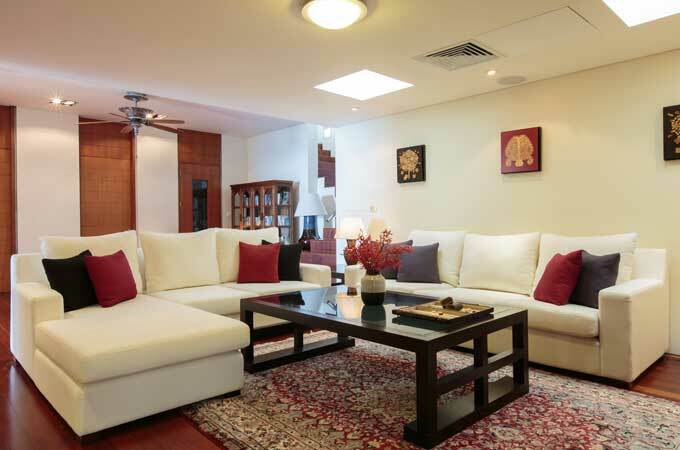 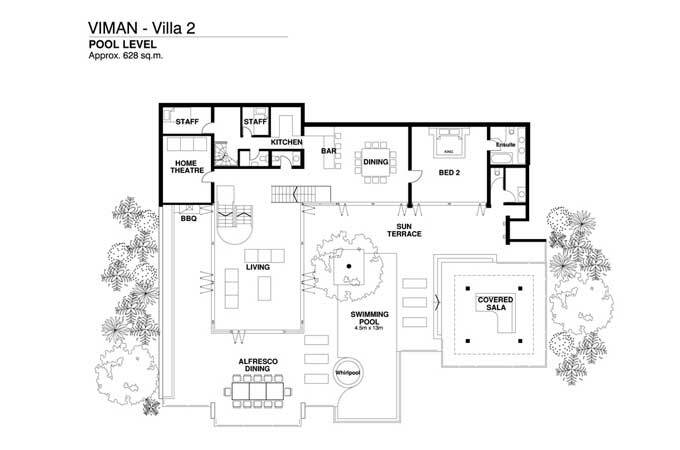 Villa Viman is serviced by two discreet live-in staff, one chef and one housekeeper. 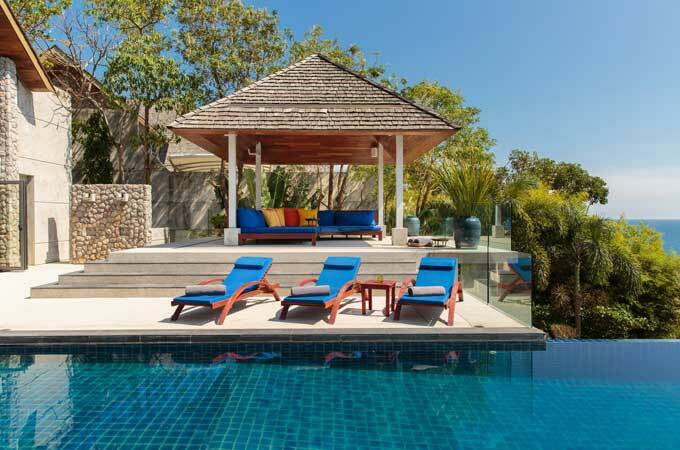 A villa concierge is also available to organize customized requirements and perfect holidays. 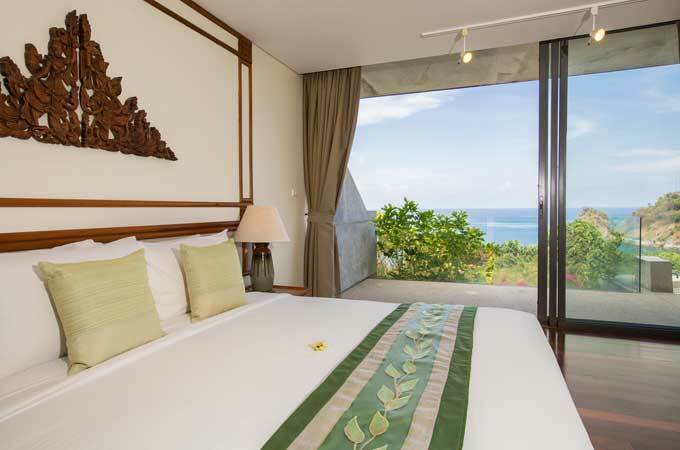 A private and secluded beach is just in walking distance while Patong with its nightlife, Kamala and Surin are a few minutes away by drive. 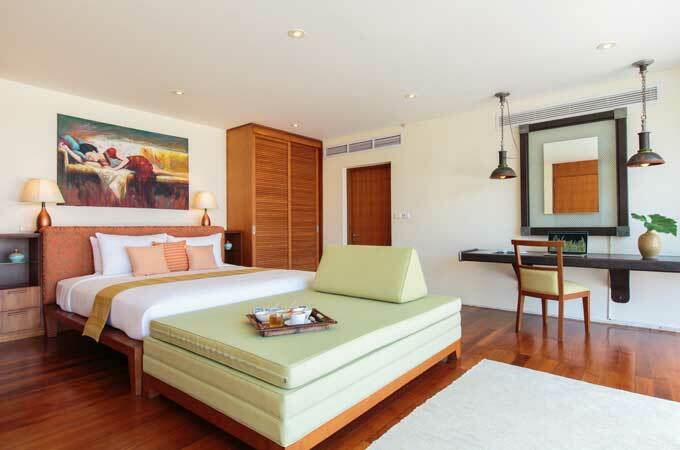 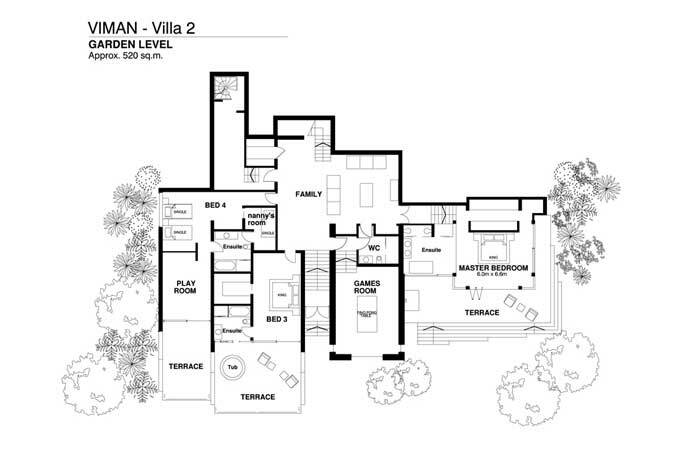 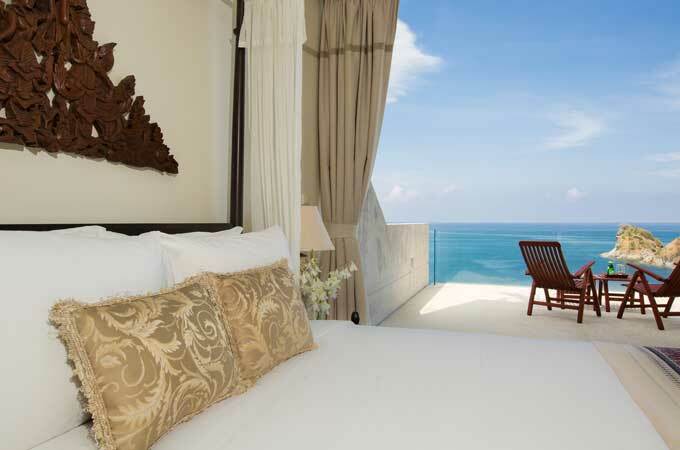 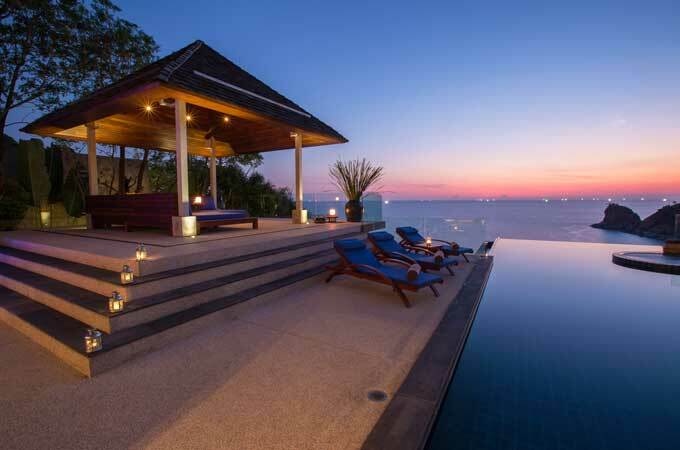 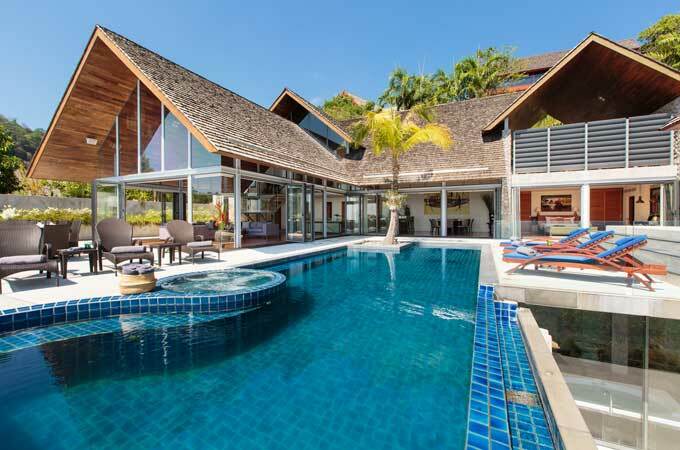 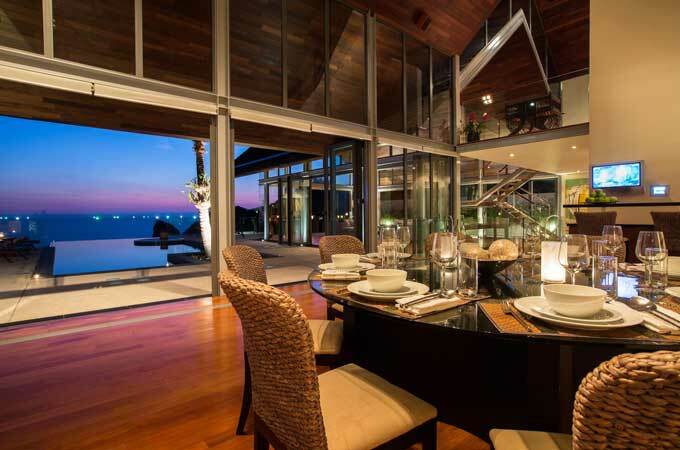 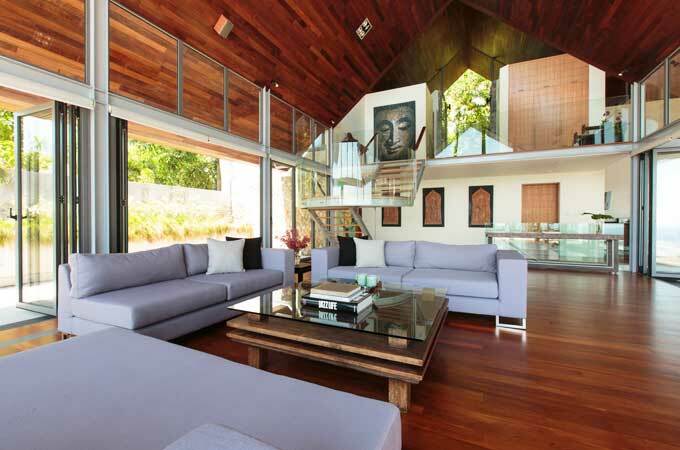 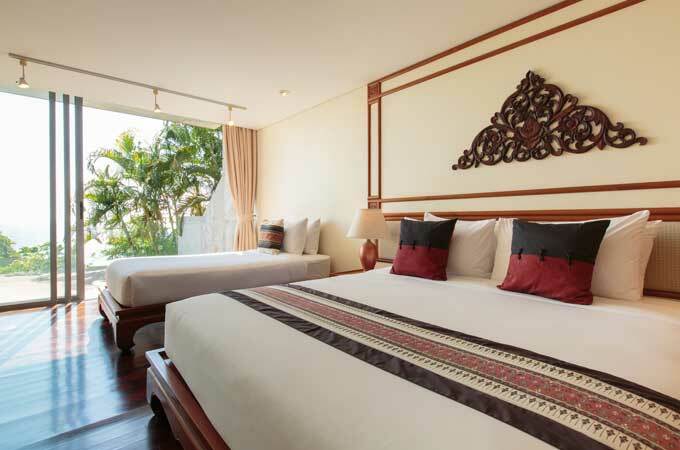 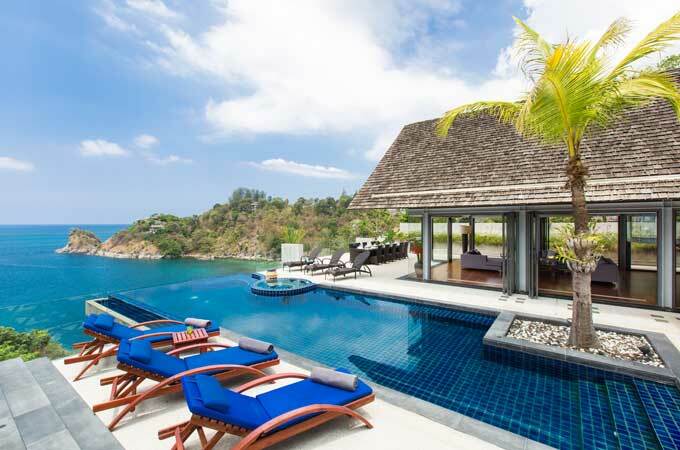 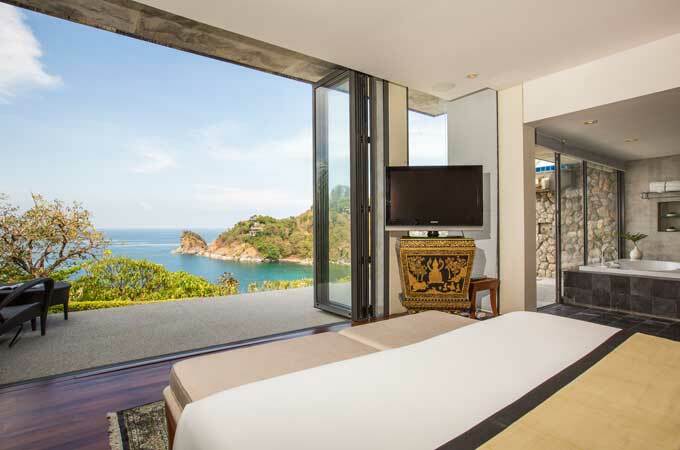 Villa Viman is part of the prestigious Samsara Estate on the west coast of Phuket overlooking Nakalay Bay. 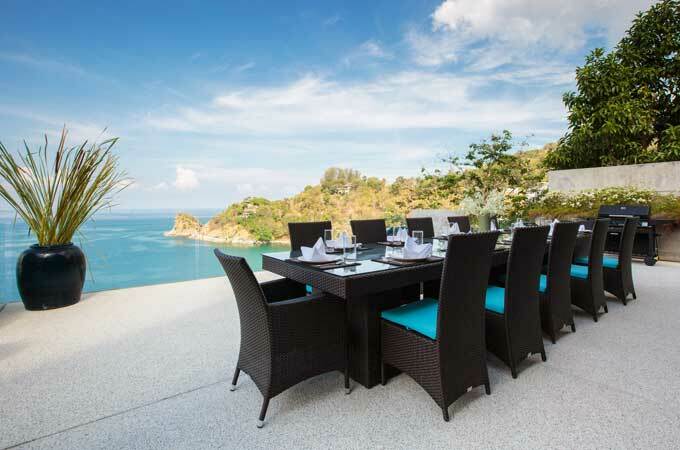 The Estate occupies a unique piece of Phuket real estate: an entire private peninsula, atop which the homes have been generously spaced in a wedding cake pattern. 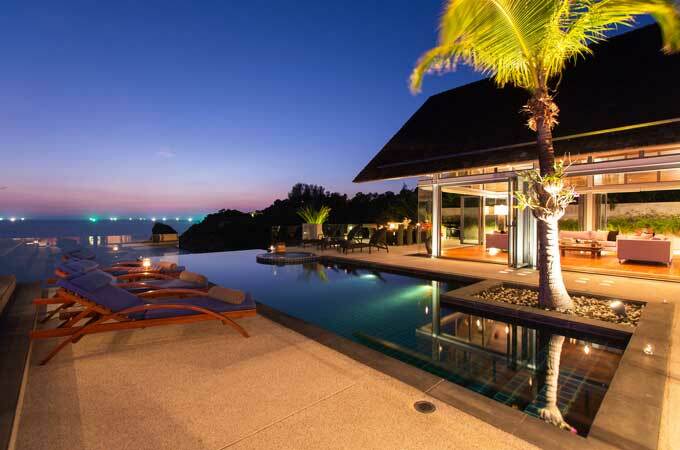 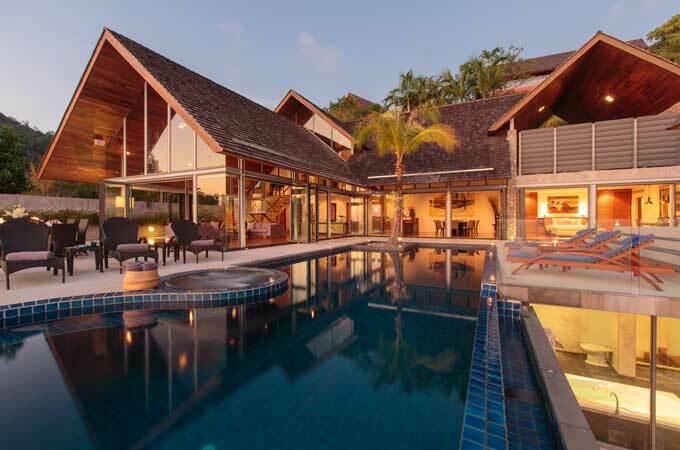 Samsara Estate consists of unique contemporary villas that are internationally recognized as some of the finest coastal homes in all of Asia. 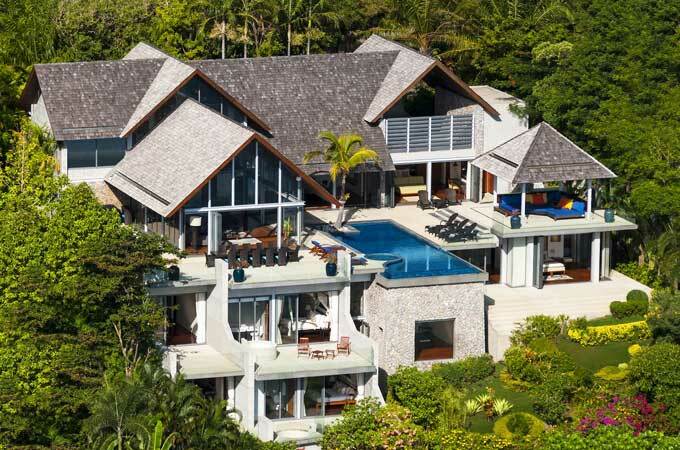 But privacy and seclusion do not mean isolation, the Estate is within easy reach of all the island’s major attractions.